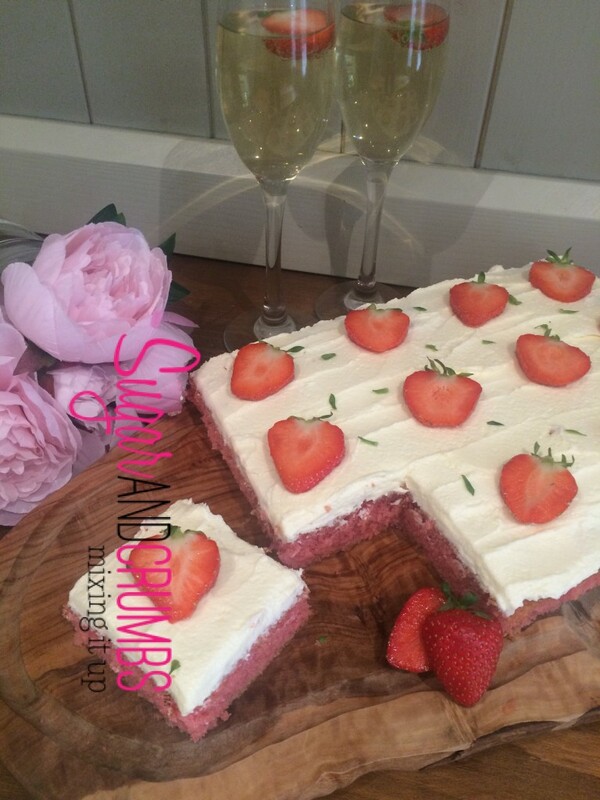 This Strawberry and cream cake is a summer dream! A light and moist cake with strawberry pieces. 1 - Preheat the oven to 170c and line or grease a baking tin approx 8 x 12 inchs. 2 - Beat the margarine and sugar together till fluffy and light. 3 - Beat in the eggs, then fold in the flour, baking powder and a handful of chopped strawberries. 5 - Pour the mixture into the prepared tin and bake in the oven for approx 50 mins or until a skewer when poked in comes out clean and the sponge is golden. 6 - Take out of the oven and leave to cool the tin for ten minutes before transferring to a wire cooling rack to cool completely. 7 - Meanwhile beat together the butter and icing sugar until creamy in a mixer or with and electric whisk. 8 - Place the cake on to a serving tray and spread the buttercream over the top, using the strawberries you have sliced place one slice on each serving to be cut. 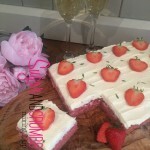 A summer strawberry and cream cake with a fruity pink sponge. Easy to make but very impressive result.